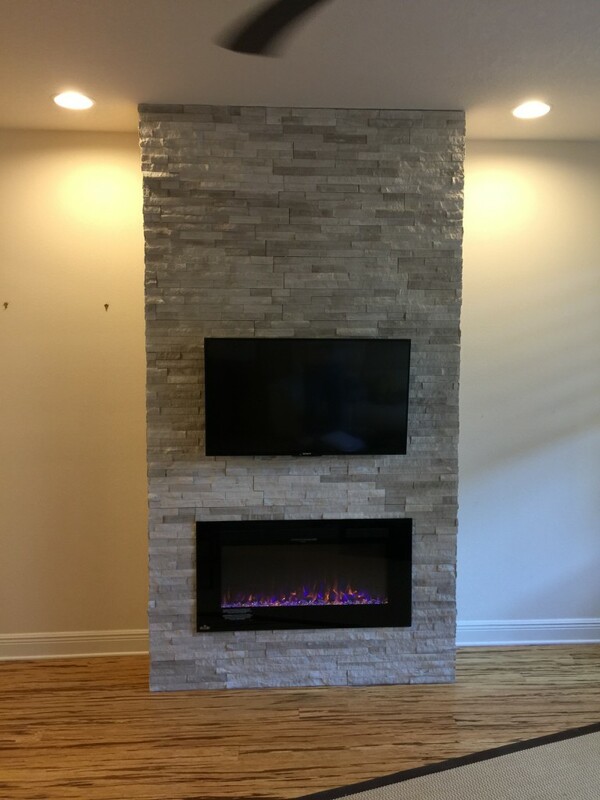 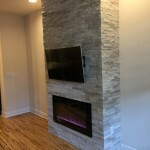 This project entailed framing out a 2' x 4' wall, running the electrical needed for the tv and fireplace that included a homerun connection to the panel and a 20 amp breaker for this circuit. 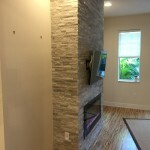 The wall was finished with with a concrete backer board panels and stone veneer. 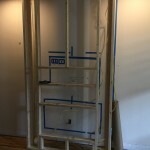 The corners of the wall was finished with a metal sluter. 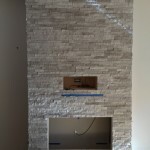 Bracing was added on the inside of the wall to support the TV bracket. 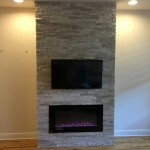 Mounted the tv bracket and hang the TV as well as mount the Fireplace and plug into the outlet behind the unit.